Bronze Chinese Cymbals(Cha Cha) - Bok Lei Po Trading Inc.
Chinese Cymbals(Cha Cha)-this cymbals is made of bronze. it makes a very lound sound when you clash it. 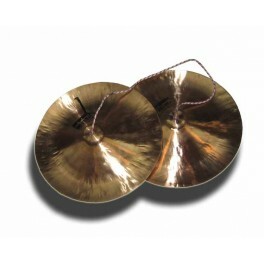 if you are ready to star you lion dance or kung fu demonstration, clash the cymbals. you will get all audience attention to watch your performance. the weight of it is 4 Lb. 13" Dia. sold by pair.